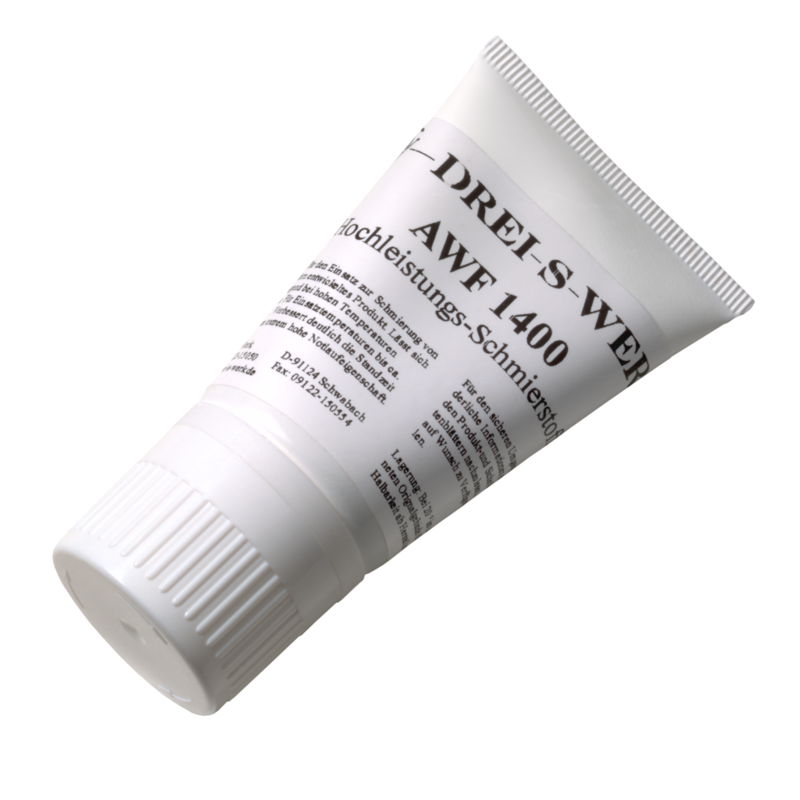 The cream-coloured, silicone-free special lubricant DREI-S-WERK AWF 1400 is an excellent all-round product. It has been developed as a lubricant for ejector pins of every type and size providing reliable protection for tools and thus increasing usage times in injection and die-casting moulds. In addition, thanks to its high degree of resistance to pressure it can successfully be implemented for lubricating guides, bearings and bolts. Apply a thin layer or spray AWF 1400 to clean, grease-free parts. 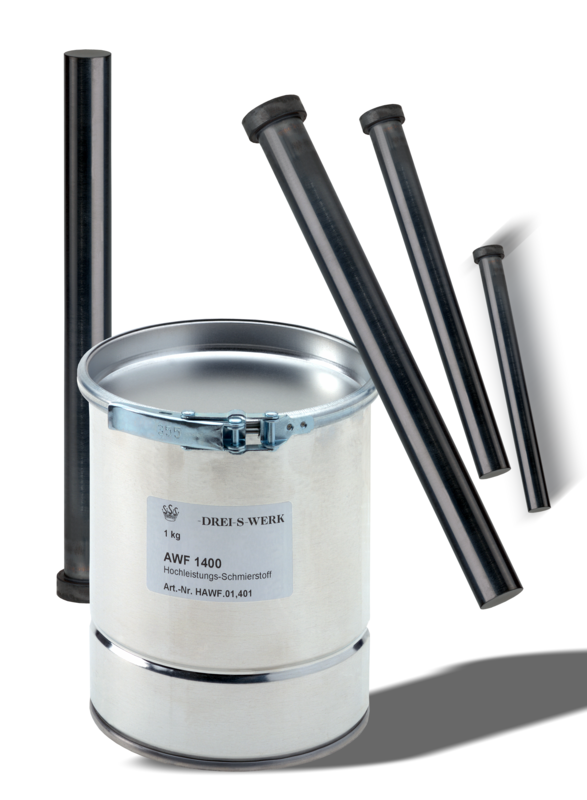 Due to the additives used AWF 1400 can be used very sparingly. → Optimized allocation “on hard to reach places” with an aerosol can. Performs extremely well at high temperatures in contrast to previously used MoS2, which becomes crystalline at 350°C / approx. 226°F and has an abrasive effect. 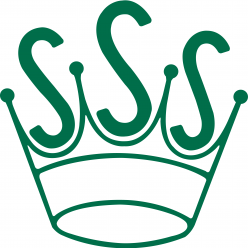 Please refer to the safety data sheet before use.